Anniversary wishes for your daughter and son-in-law. 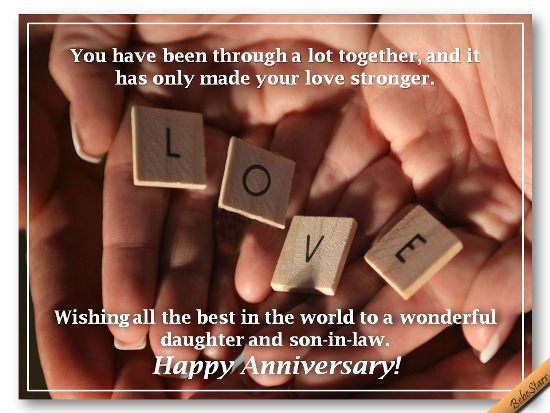 Send this meaningful wedding Anniversary ecard/greetings to your friends and family. Congratulations for a happy couple on their anniversary. Wish the couple on their anniversary with this beautiful ecard with nice quotes.